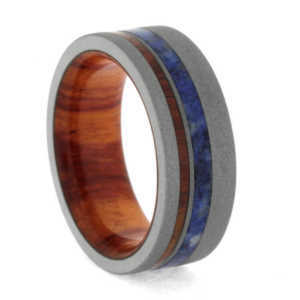 PLEASE NOTE: When you purchase one of our Exotic Inlay rings, we will first send you a sizing ring (the Jewel) or one of similar value before we place your order to make sure that the size you have ordered is exact. 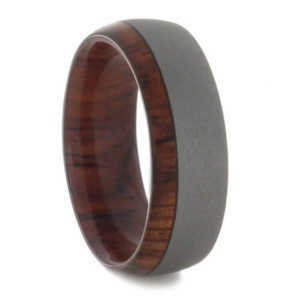 This sizing ring is sent to you as a free service to ensure accuracy when ordering one of our Exotic Inlay rings. If you have questions about this free service please call 801-755-1661 or email ringsales@live.com. 8 mm Titanium, with 4 mm Meteorite and a M3 Black/White Stealth Sleeve, Beveled Edges, and Comfort Fit. 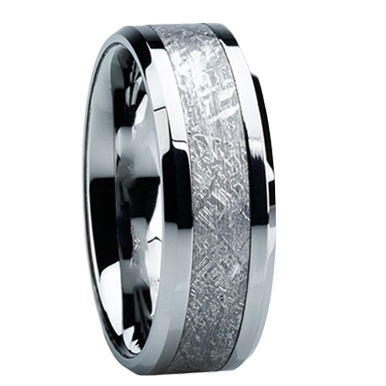 This stunning ring comes with a signed certificate of authenticity guaranteeing this is actual Gibeon Meteorite. 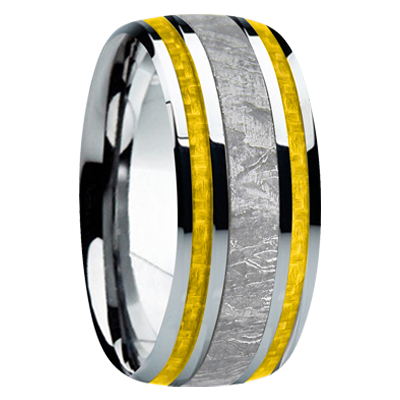 Handmade, custom rings are made to order and take 4-5 weeks for completion. 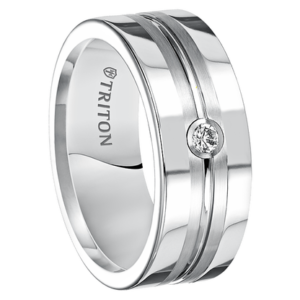 Remember that you will receive your “Jewel” ring immediately (to guarantee sizing) which can be worn for ceremonies and at other occasions until your custom ring has been completed. 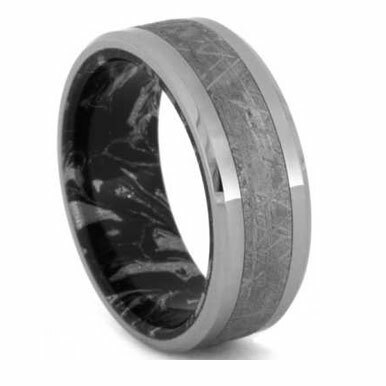 This exotic Meteorite Collectible Ring, features the Gibeon Meteorite named after the town in Namibia where it was found. Meteorite is billions of years old and has a higher market value than pure gold! Within this collection all rings are handmade and no two are alike – they are made to order and as such they cannot be returned for refund. The Gibeon Meteorite fell in prehistoric times in Namibia. Meteorite is called “iron meteorite” in that it belongs to the chemical group IVA and is composed of alloys including cobalt and phosphorus. Small imperfections are common in meteorite and these “inclusions” are part of what happens as it travels through space. We offer Lifetime Meteorite Ring Protection which means you will wear your Meteorite ring care-free. For a small fee you can send us your handmade Meteorite ring for cleaning/re-etching and we’ll make it look like new! Handmade rings with an inner sleeve cannot be engraved. Thank you!